As the name suggests, Below and Hidden is nestled in the basement of the B&H building in Clerkenwell. Much like B&H, the decor is super chic and the clientele even more so. Bottled cocktails are served at your table — they're thought up by renowned cocktail guru Jim Wrigley, so you know they'll be good. It only opens its doors on a Friday evening though, so tables can be hard to come by, making booking in advance a must. 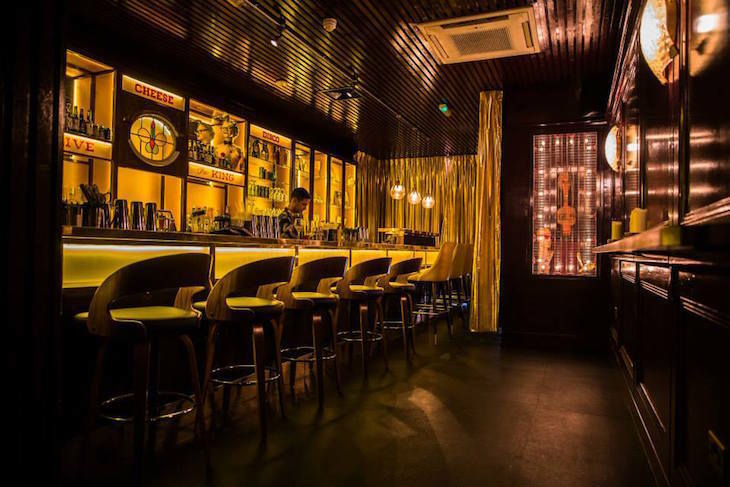 From the same folks behind Nightjar, Oriole is glamorous, sumptuously decorated and hidden in the depths of Smithfield Market. You'll know you've arrived when you spot the tiny sign featuring a vermillion bird. Sit back and take in the soulful sounds of the live bands (they play most evenings) while you navigate the pages of the cocktail menu. Aptly arranged into 'Old World', 'New World' and 'The Orient' categories, Roman Holiday is a particular delight. 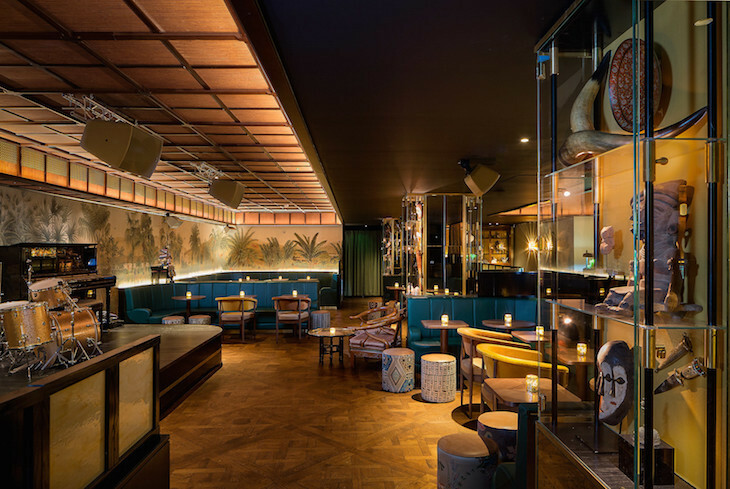 Look for the Jade Door to step inside this eastern treasure where you'll be met by a heady mix of incense, loud beats and dimly lit rooms filled with comfy leather armchairs, Chinese vases and impressive looking cocktails billowing with smoke, perched atop antique tables. Try the Golden Lotus; bitterly sweet and delicious it's a mix of cognac, rye, banana and vermouth. 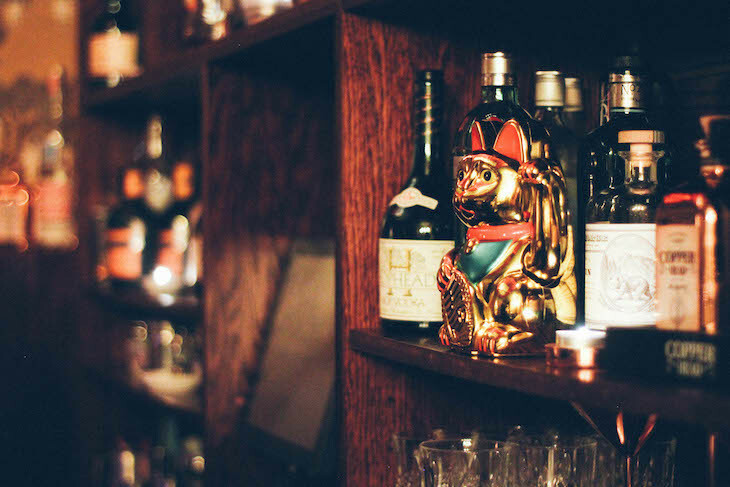 The Narnia of the London bar scene, you emerge into the Jubjub Room after walking through an antique wardrobe in Callooh Callay's main bar. 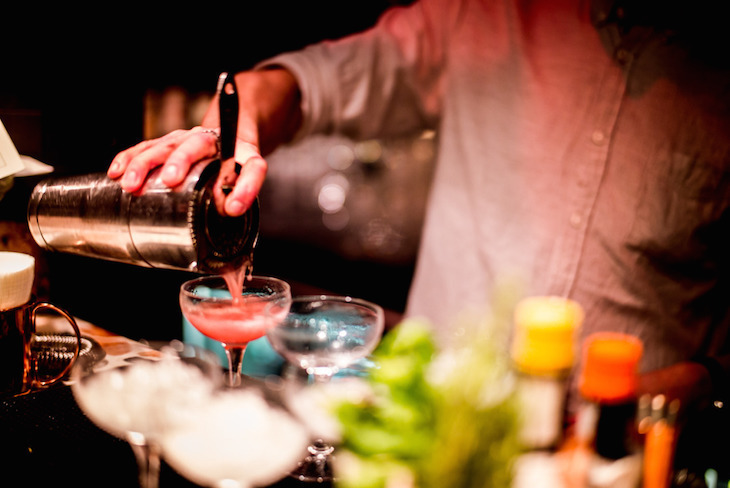 The bartender, menu and four digit access code change daily, but there's bound to be something that tickles your fancy from the mix of modern concoctions and classic cocktails on offer. 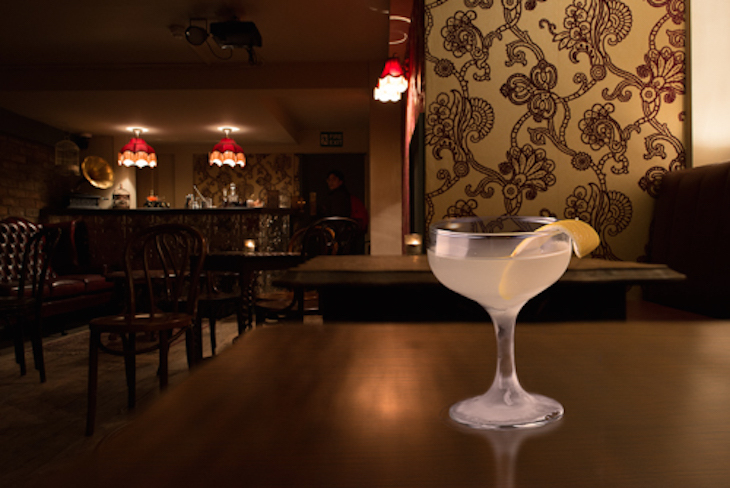 The wildly popular Breakfast Club chaps do enjoy creating a good speakeasy. Head to the back of the Battersea club, to the wall that looks like a launderette. Don't be fooled though, hidden behind this secret sliding wall is a fun and funky retro bar with winning creations like The Pisco Inferno. We ordered for the name but reordered for the taste. Macchu Pisco, pineapple and passion fruit shrub, fresh lemon and egg white. Lovely. 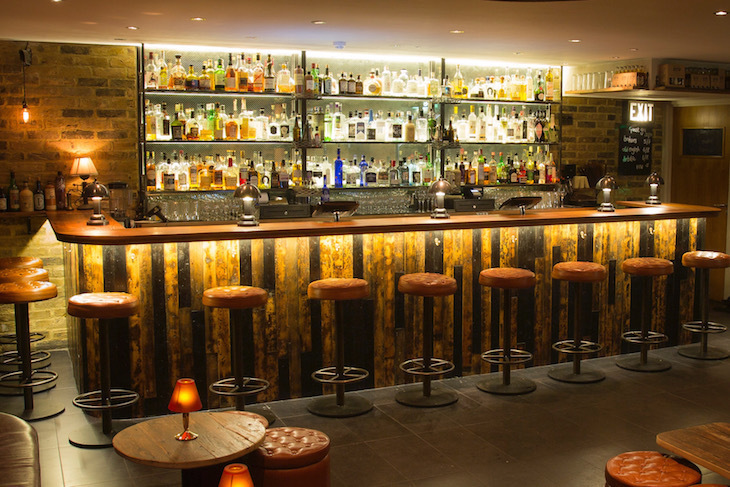 Sitting inconspicuously at the end of Bermondsey Street, tucked away underneath Antico Restaurant, this intimate gin bar is a delightfully well-kept secret. The home of craft tonic brand, BTW (Bermondsey Tonic Water), 214 offers gin tasting flights (each offer three distinctive spirits mixed with tonic), detailed tasting notes on each of the bottles that feature behind the bar, and an impressive gin cocktail list. You'd be forgiven for thinking you'd stepped back into the time of La Belle Époque after entering this bijou little bar hidden on the first floor of Shaker and Company. 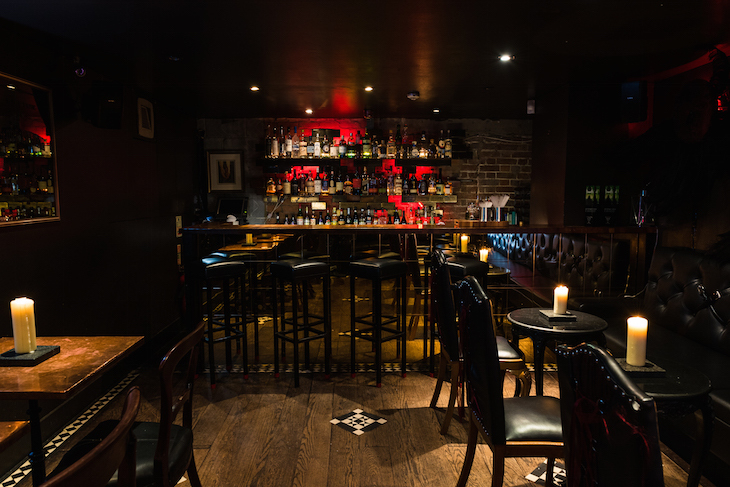 Dimly lit with perfect Parisian decor, this cosy bar has a great array of entertainment, from live music to cinema screenings, to keep you occupied while you sip. 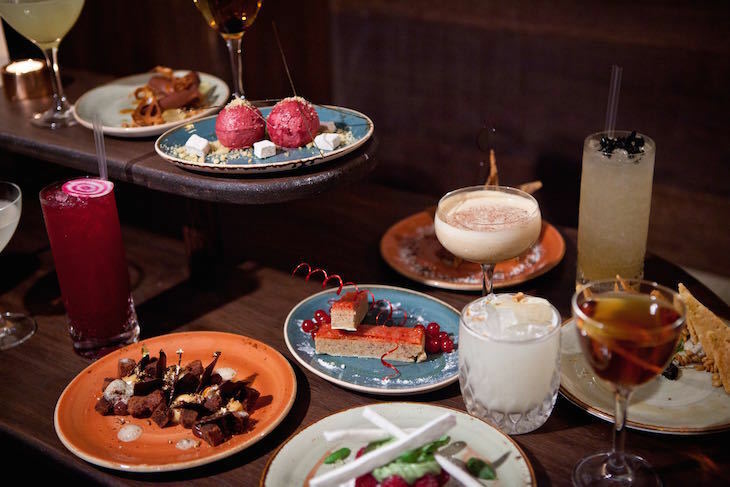 Decadent and incredibly indulgent, Basement Sate is tucked away behind a red door in Soho, bringing you puddings paired with cocktails. Desserts might be the last thing you think you want when sinking a carefully curated cocktail but trust us, it works. The food is a sweet as the ambience and as rich as the decor. Check out the dedicated G&T menu for some quirky garnish ideas that bring a whole new level of appreciation to this humble serve. Want to steer clear of central? 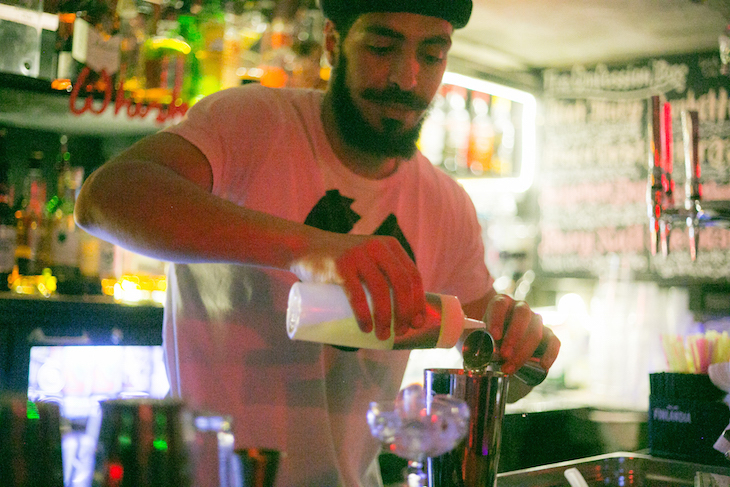 Perhaps the most fun speakeasy on the list is this dirty dive bar in Peckham. 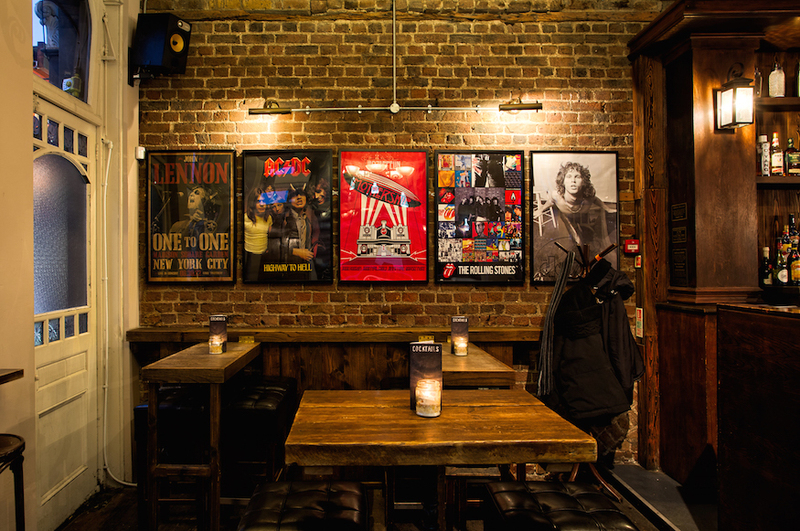 Head downstairs to the basement of Four Quarters and pull up a seat at one of tables made from retro arcade machines. Whisky cocktails, Belgian beers and boilermakers are the order of the day. This place is dirty and debaucherous... and we can't get enough of it.